ਲੋਕਾਈ ਦੀ ਕੋਈ ਵੀ ਧਾਰਾ . . .
↑ Biography of Pushkin at the Russian Literary Institute "Pushkin House"
↑ Maxim Gorky, "Pushkin, An Appraisal"
↑ Troyat, Henri (1957). 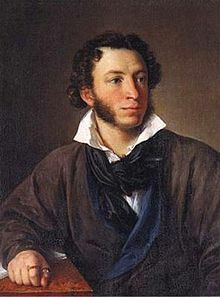 "Pushkin's Ethiopian Ancestry". Ethiopia Observer. 6.